I feel like this is a lesser known quote from L.M. 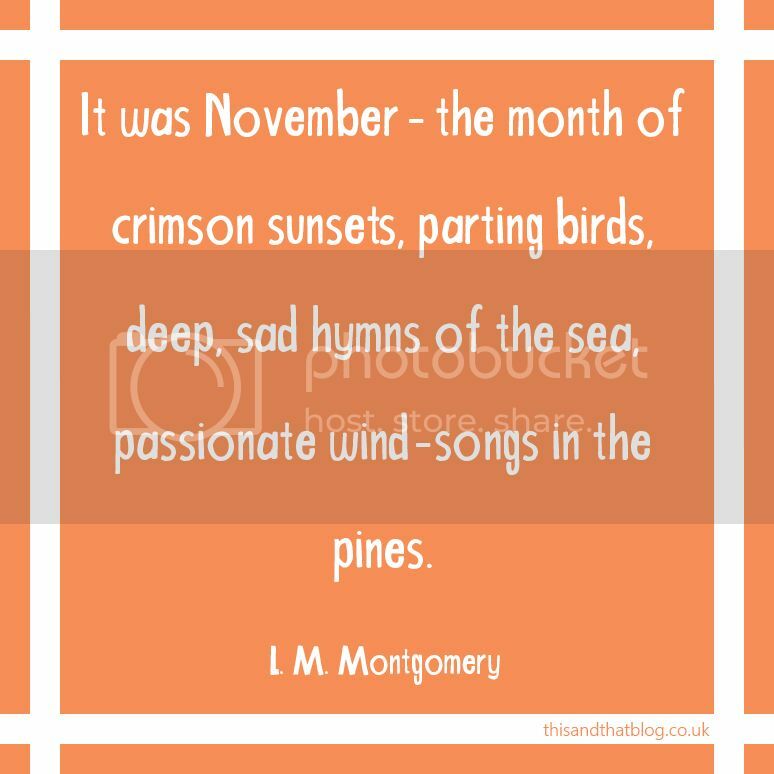 Montgomery, or at least it is for me, yet the words are pretty perfect for this month. Passionate wind songs in the pines is a wonderful way to describe the sound of the wind whipping through the trees as one tramples through the woods. Why don’t we speak like this anymore? Anyway, let us welcome November and everything it brings; the darker nights, the wind on our faces, the autumn leaves underfoot, the fireworks in the sky and the anticipation of December being that little bit closer.